If like me you are sometimes patiently waiting for your smartphone to fully charge you may be interested in a new smart cable that has been created called SONICable. That has been specifically designed to charge any device twice as fast as a standard cable. The SONICable smart cable is equipped with a number of features that make it stand out when compared to a standard charging cable. With this design including a dual sided USB connector and Aluminium tip. The design and materials used in its construction help the SONICable last longer and be stronger then any charging cable on the market say its creators. 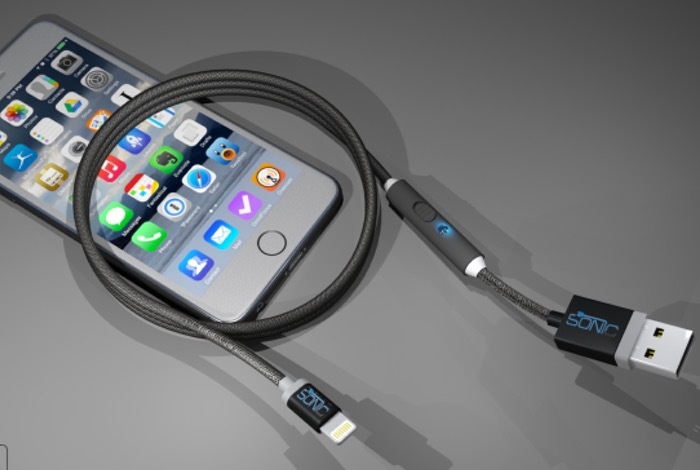 The SONICable smart cable is also MFi certified and available with either a Lightning connector for iPhone or micro USB for Android. Watch the video below to learn more.